Britain is said to be home to over 700 cheeses; while many are mass-produced and characterless, there are also plenty of wonderful artisanal cheeses to discover if you make the effort to find them. Here, we introduce one, Stichelton cheese – and here’s everything you need to know about it. What is Stichelton and how is it different? Stichelton cheese is actually very similar to another much better-known British cheese – stilton. To understand what Stichelton cheese is, first we need to talk about stilton and why Stichelton isn’t a type of stilton. Stilton cheese was first made in a village of the same name in the country of Cambridgeshire in the east of England at least as long ago as the 18th century. In 1996, stilton cheese was granted Protected Designation of Origin (PDO) status under the European Commission. 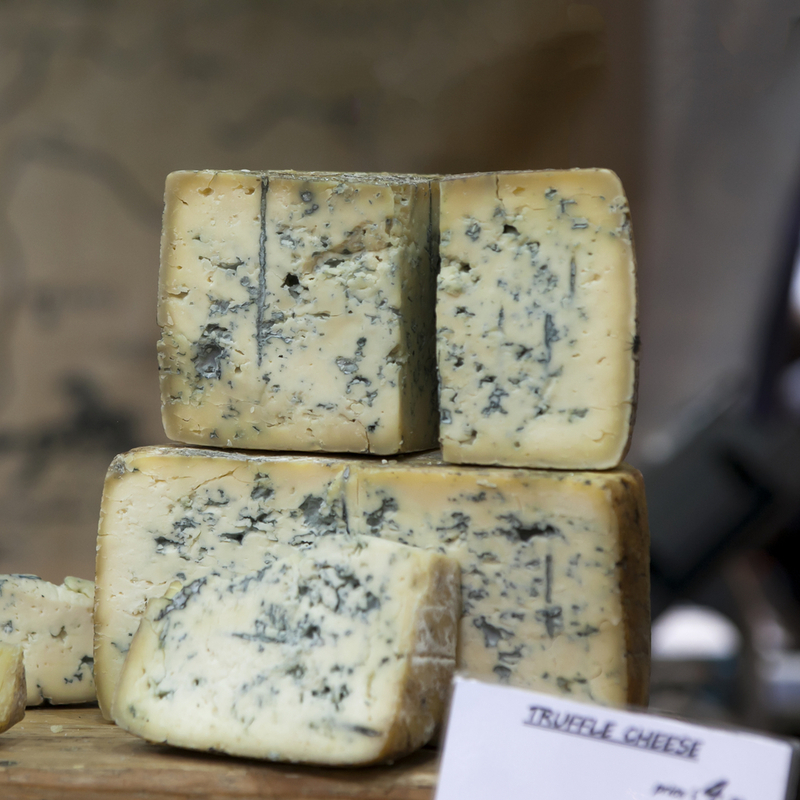 As part of this designation, only cheese made in the counties of Derbyshire, Leicestershire and Nottinghamshire can legally be sold as stilton. A bizarre result of this designation is that cheese made in the original Stilton village cannot currently be sold as stilton cheese. One other significant part of the designation is that stilton cheese must be made with pasteurized milk – cheeses made from raw milk are not allowed be labeled and sold as stilton. This final point about the use of pasteurized milk is important in the history and development of Stichelton as we shall see. Back in 1989, the Colson Bassett dairy in Nottinghamshire experimented with making a Stilton-style cheese using unpasteurized milk. However, after an outbreak of food poisoning that was falsely attributed to the cheese, the experiment was brought to a halt. However, the idea of a stilton cheese made from raw milk wasn’t completely forgotten, although nobody would attempt it for almost another two decades. 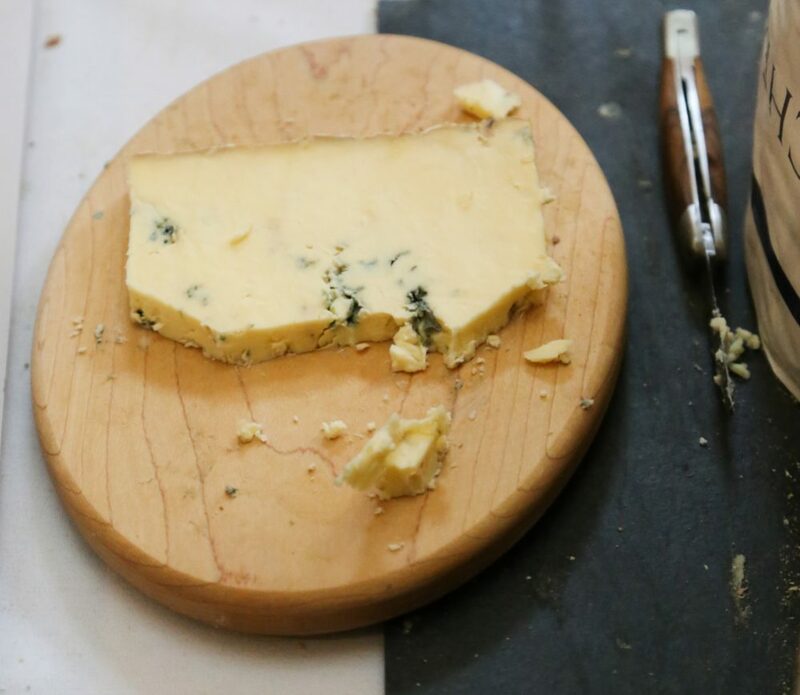 In 2006, Randolph Hodgson of Neal’s Yard Dairy and Joe Schneider, an American who had been making cheese in the Netherlands, hatched a plan to revive the recipe for a Stilton-type cheese made using more traditional methods. Their dairy was located on the edge of Nottinghamshire’s Sherwood Forest, and the artisanal cheese they began producing was made using raw milk, as well as natural rennet from the stomachs of calves. The pair applied to use the stilton name for their newly-created cheese – but since the PDO clearly states that stilton cheese must be made with pasteurized milk, the new cheese made from raw milk was not allowed to be sold as stilton. This decision wasn’t without controversy. PDO accreditation is supposed to be used to protect artisanal products from the world of mass production. For example, French camembert de Normandie has been granted PDO status specifying that it must be made using only raw milk, a ruling that prevents larger producers from using the appellation while producing a cheese made from pasteurized milk. However, with stilton, it would seem that the PDO appellation is being used for the opposite purpose to the one for which it was created – to prevent a small producer from competing with the cheesemaking giants. Although Hodgson and Schneider still continue to fight the ruling, they had to find a new name under which they could sell their cheese. In the hunt for a new name, they uncovered an ancient version of the name of Stilton village that apparently appeared the 13th century Lincoln Rolls. 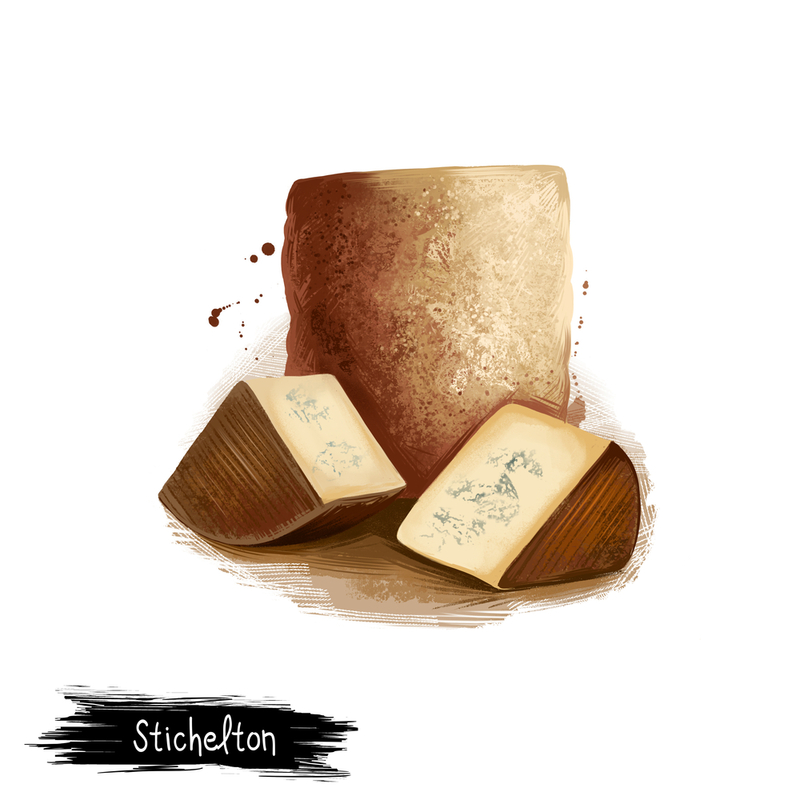 Whether or not this name was ever really used, it was the name chosen for the cheese and is the one still used today – Stichelton. Stichelton is made in small quantities using a painstaking artisanal production method. Only 50 tons are produced each year, compared to up to 450 tons made by larger stilton cheesemakers. The Stichelton dairy is located on Collingthwaite farm, just north of the limits of Sherwood forest. This proximity means the milk doesn’t need to be transported long distances after milking. The penicillin mold is added during the pumping process and then the starter is added. While most stilton producers use around 1-2% of starter compared to the volume of milk, Stichelton only uses 50ml per 2,600l of milk – a tiny ratio of only 0.0008%, meaning it develops very slowly at first. Next, traditional natural rennet is added. Only about half as much is used as would normally go into a cheddar-style cheese – this results in a much softer, silkier final product. After this, shallow scoops of curd are removed and spread onto a table in layers to drain overnight. The blocks of curd are then milled and salted by hand before being inserted into a cylindrical hoop to drain and compact. The next stage is to take the cheese and smooth it, rubbing it up by hand. Then it is taken to the maturation room where it is left to develop at 13°C (55°F) for several weeks. The final step is to pierce the cheese, allowing in the air that activates the penicillin and causes the blue mold to form, breaking down the cheese and giving a delicious creamy texture. So we’ve talked about the history and the production – but the most important question is, what does it taste like? For all the meticulous effort that goes into its creation, does it actually taste any different from a regular stilton? While Stichelton does taste very similar to a regular stilton, it is a particularly soft and creamy cheese – some stiltons can be noticeably crumblier. If you taste a Stichelton next to a stilton, you will also be able to detect much subtler flavors and a longer lasting aftertaste. Some people find notes of apples, others hints of beef stock, with nutty or spicy tones. Probably due to the fact that raw milk is used rather than pasteurized milk, the flavor of Stichelton actually changes throughout the year with progression of the seasons. 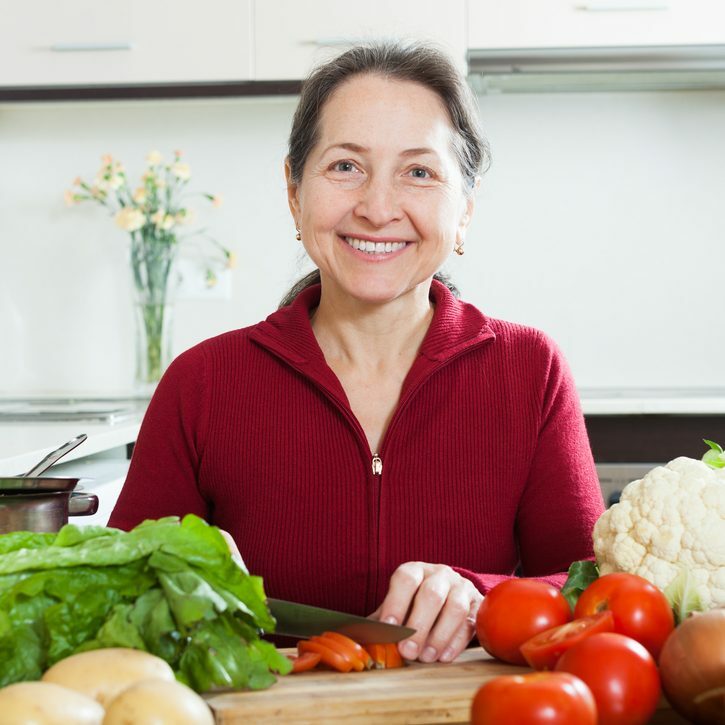 One batch might have sweet vegetal notes while another will have much stronger meaty flavors. This kind of variation is exactly why more and more people are seeking out artisanal products like Stichelton rather than simply opting for homogenized, mass-produced products straight from the shelves of a supermarket. For this reason, for those interested in sampling original and unusual cheeses with real character, Stichelton is certainly one to hunt down and try. 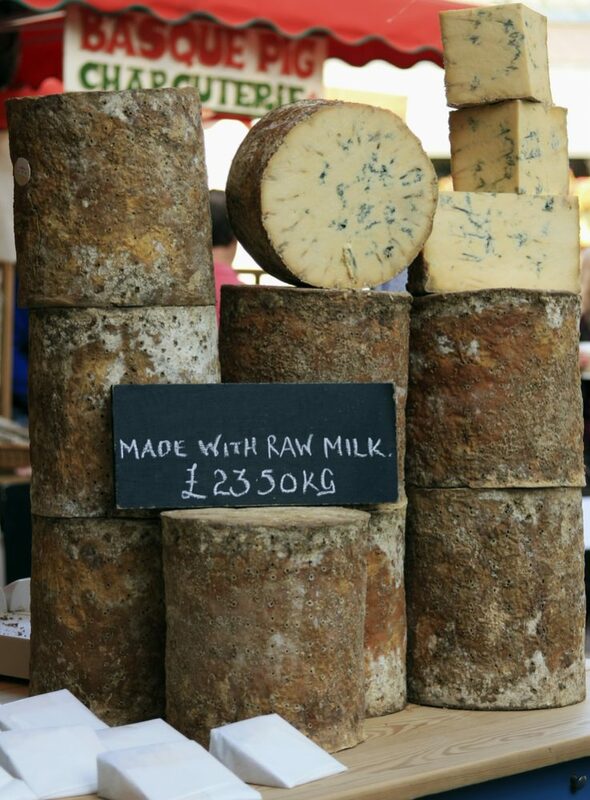 Making an artisanal cheese using raw milk and traditional rennet might take a lot more time and effort. However, the final result is a delicious creamy blue cheese full of its own distinctive character, and one that is well worth all the loving hard work that goes into it.